Don’t worry, I’m not getting all healthy/crunchy/granola on you. But this DIY is so easy and SO delicious that I couldn’t not share with you all. As you know, my littlest guy has a peanut allergy – so while I do make my share of PB-based recipes (like these, these and these), I also use a lot of almond butter. Especially in many of my vegan recipes. But – like sprinkles, English muffins and gummies, I never thought to make my own. Tell me – am I the only person who didn’t know how simple it is? I looked at – and tried – a few methods, and here’s my favorite. 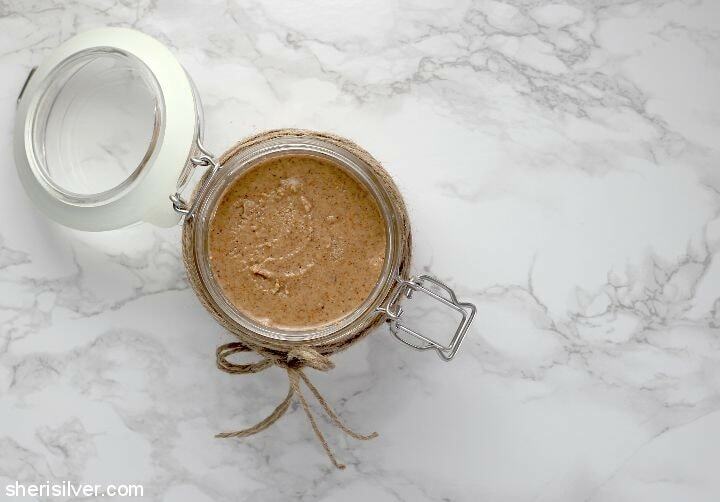 If you’ve never tried almond butter before, you are certain to be a fan. And if you DO use it but have not made your own, you are certain to never go back. Let me know what you think! What do you like to make from scratch? 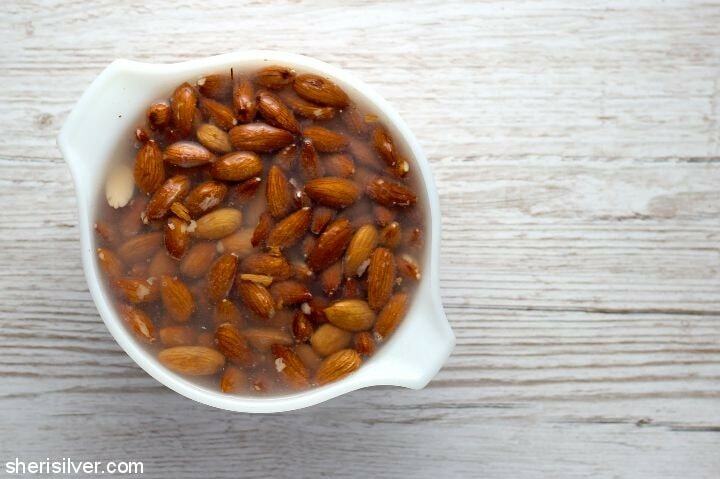 Pre-heat oven to 170 degrees; place almonds on a baking sheet and bake for 8 – 12 hours. Cool. 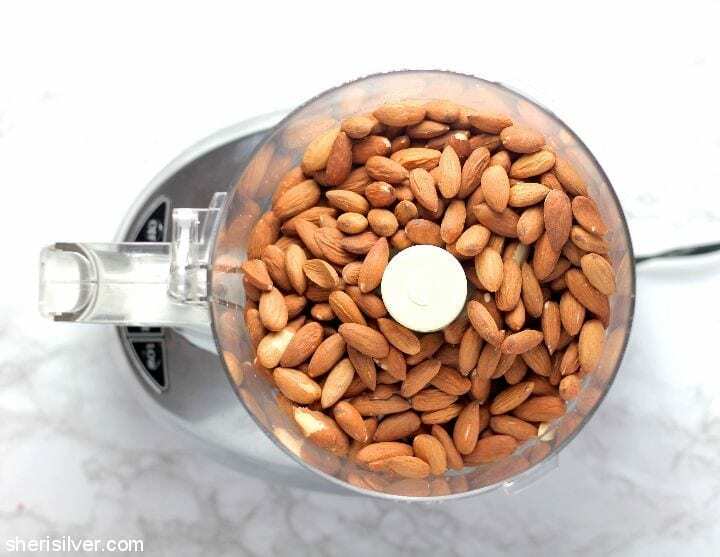 Place almonds in a food processor and pulse till they resemble coarse meal. 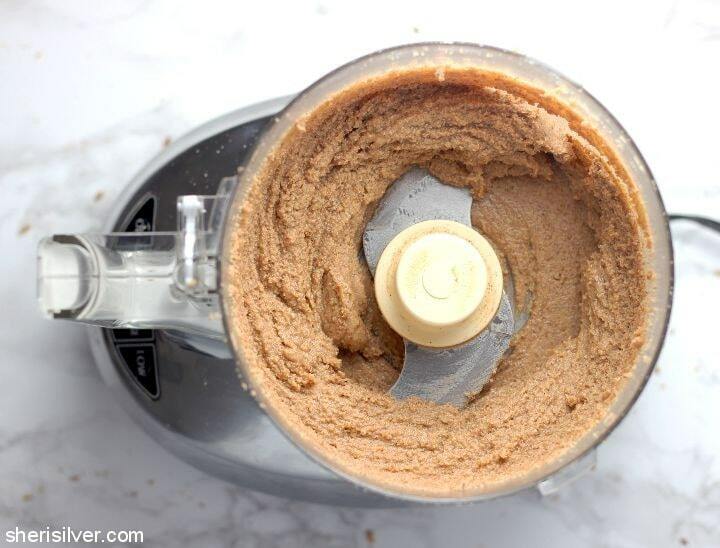 Add the coconut oil, salt and dates (if using) and process till smooth, stopping as needed to give the machine a break and to scrape the sides. Transfer to a container, let cool, then cover and refrigerate. 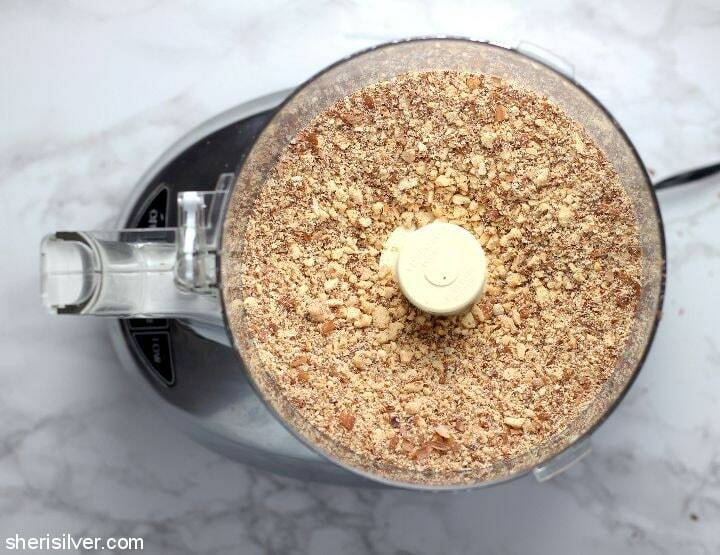 You can find all of my recipes that use almond butter on Pinterest!